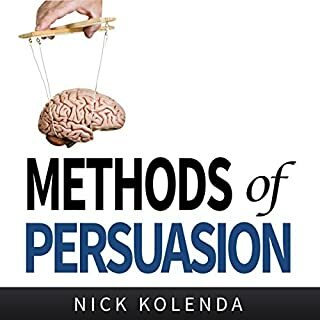 Using principles from cognitive psychology, Nick Kolenda developed a unique way to subconsciously influence people's thoughts. He developed a "mind reading" stage show depicting that phenomenon, and his demonstrations have been seen by over a million people across the globe. 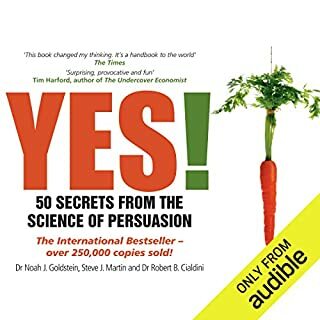 Methods of Persuasion reveals that secret for the first time. You'll learn how to use those principles to influence people's thoughts in your own life. How can we create and market creative works that achieve longevity? 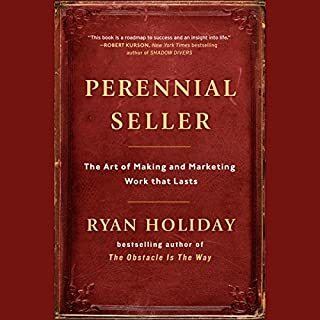 Holiday explores this mystery by drawing on his extensive experience working with businesses and creators such as Google, American Apparel, and the author John Grisham as well as his interviews with the minds behind some of the greatest perennial sellers of our time. Every day, we face the challenge of persuading others to do what we want. But what makes people say 'yes' to our requests? 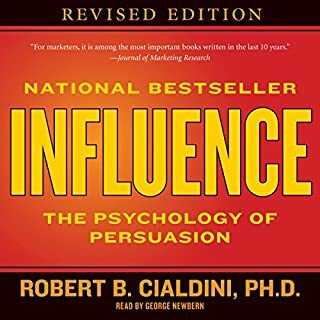 Based on more than 60 years of research into the psychology of persuasion, this audiobook reveals many remarkable insights that will help listeners to be more persuasive, both at work and at home. WORTH THE TIME & MONEY! Decent and simple, but slimy. 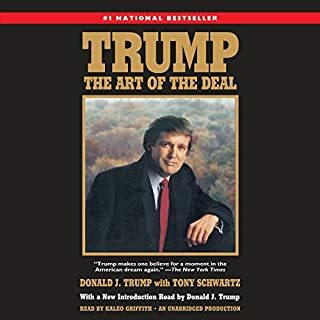 A groundbreaking approach to creating memorable messages that are easy to process, hard to forget, and impossible to ignore - using the latest in brain science. Audiences forget up to 90% of what you communicate. How can your employees and customers decide to act on your message if they only remember a 10th of it? How do you know which 10th they'll remember? How will you stay on their minds long enough to spark the action you need? 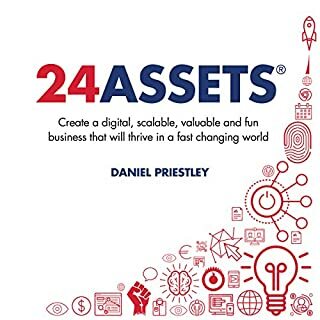 This practical guide is filled with case studies, examples, and a checklist to help you put the power of cognitive science to work for your business. 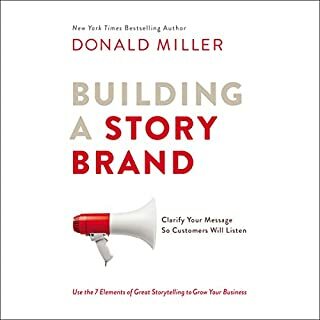 Whether you're giving a presentation, conducting a meeting, delivering training, making a sales pitch, or creating a marketing campaign, these field-tested techniques will help you develop content that speaks to people's hearts, stays in their heads, and influences their decisions. It's not just memorable - it's Impossible to Ignore. 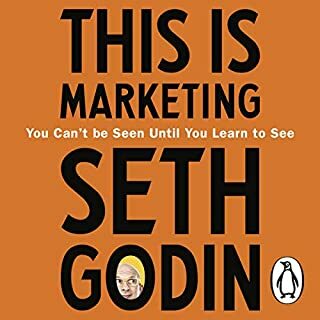 Listen to this book if you want to make better content to serve your audience better. 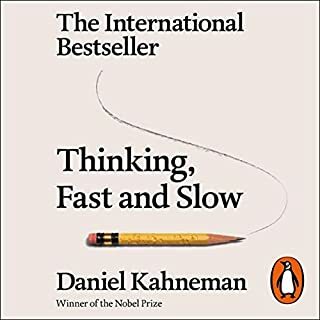 The author synthesises the latest research on influencing people to make decisions in a really compelling and easy to use way. Would highly recommend. 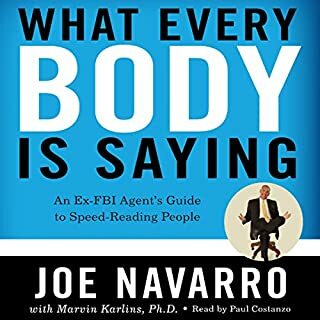 Ironically this book is boring to read and the narration is rather painful - monotonous voice and long lists of bullet points. Plus the quality of the writing is only mediocre. Shame it couldn't have been written in a compelling way - but that said, even though my mind drifted a lot due to the narration, when I forced myself to listen carefully (and I had to rewind many, many times) the actual content contains interesting nuggets about how memory works and how you can make your own content more memorable as a result. the content is good. the narrating is unbearably monotone, especially noticeable as this text is written in fairly scientific language. If you could sum up Impossible to Ignore in three words, what would they be? This is the One book in the universe to reveal the most powerful method to influencing prospective memories and retrospect memories! What other book might you compare Impossible to Ignore to and why? Cue's retrieve memories execute action techniques! 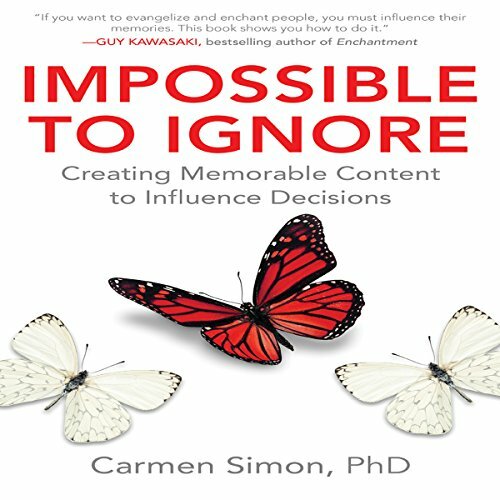 I found this book is very very interesting informative and practical, to influencing memories and action, and i never found any books in this department.thank you author CARMEN SIMON. Would you consider the audio edition of Impossible to Ignore to be better than the print version? Impossible to ignore was fantastic but extremely difficult to follow with audio only. There were several lists that I wished I had notes on, and I couldn't take notes because I listen to ebooks while I drive. Overall the content was excellent - it would just be easier to take in visually rather than audibly. What was one of the most memorable moments of Impossible to Ignore? I specifically liked the concept of queue/triggers. As a marketer, we're always trying to figure out how to make our clients' messages more powerful. 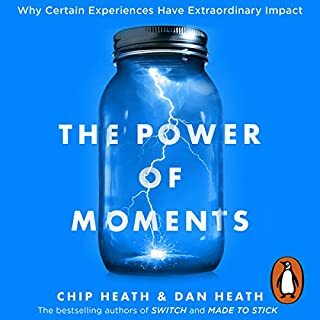 The idea of setting triggers to cause the prospect to recall the service is super powerful It seems obvious after the fact - doing it consciously is another story. What aspect of Barbara Hawkins-Scott’s performance would you have changed? The energy level just didn't resonate with me. I'd occasionally find myself drifting off into thought and losing focus on the content. I had to rewind many times to rehear parts that I zoned out listening to. Not a problem I usually have. As i mentioned before, the queues. There are lots of good concepts for marketing though. It really helps bring awareness to the various ways ads can be used to really connect with prospects. 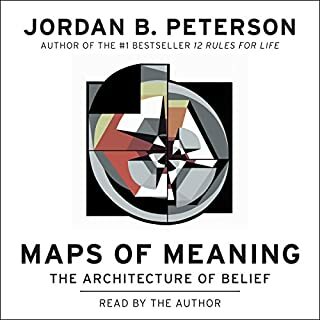 I'd definitely recommend setting aside time to listen to this audiobook in a place with few distractions where you can take notes. 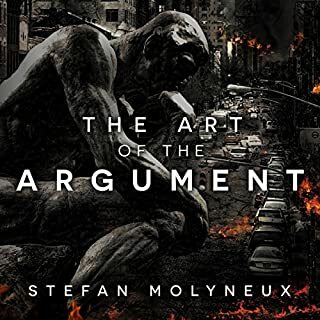 This book is loaded with great content. I recommend it either way. The contents are great but the narratuon was boring and make it hard to remember. I found the content to be very interesting. I struggle to explain why I don't like the narrator. She reads very well; but maybe too well? I want to say too mechanical, but that wouldn't be fair. Either way, I struggle. Rather, let me say I greatly prefer books read by their author. They don't have to be good--crazy accents, inflections, slang; whatever. 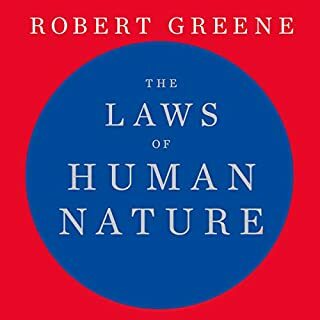 Books read by the author sound natural and are really fun and easy to listen. 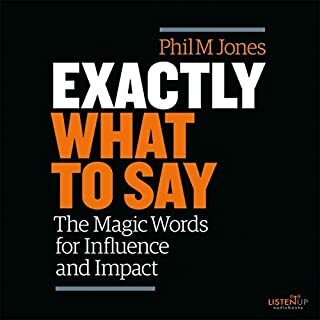 I liked the content I caught but my mind kept wandering as I found that the narration was difficult for me to listen and engage with. What did you love best about Impossible to Ignore? The content is rock solid. She sounds identical to one of those clunky, robotic sounding text-to-speech programs from the late 90's. What a terrible letdown to an otherwise fantastic piece of work. You can’t sell to a memory that does NOT exist! 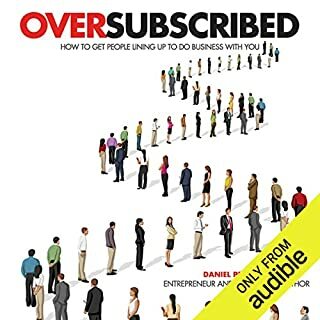 In these pages are no fewer then 100 key triggers to understand why you succeed and why you blow it! Carmen has allowed us to realize the significance of the syntax of a conversation! Remember we are always in a dialogue with our audience even if we don’t hear they speaking. They are remembering faster then we can connect with them. Thanks Carmen... amazing content, context and bread crumbs to greater success. Overcomplicated book. 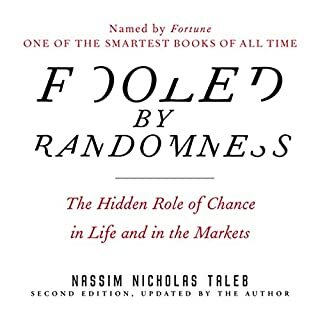 Summary in last chapter is enough to deliver 80% of what this book aims at. Some interesting points throughout but they are possible to ignore (pun). I believe this is much easier to digest in its paper format. I made myself listen to the whole thing, but it was a struggle. 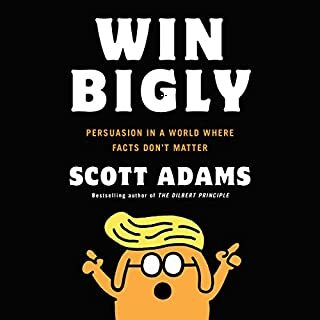 There are so many other books with the same information that are much more entertaining.